The Financial Times Stock Exchange 100 Index – the FTSE 100 – also known as the UK 100 or the Footsie, is a list of 100 of the UK’s top companies by market capitalisation. The majority of its members are so-called ‘blue chip’ companies – high performing companies that offer quality products and services. 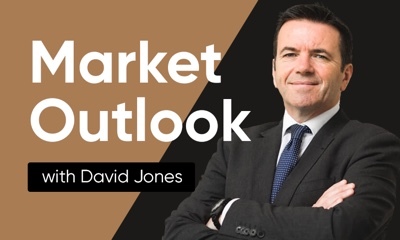 The index is one of the UK’s most influential indicators of prosperity for the UK business sector, despite the fact that the majority of its members are internationally-focused companies. What’s the history of the FTSE 100? Launched in 1984 as a joint venture of the London Stock Exchange (LSE) and the Financial Times, the FTSE 100 is one of the oldest UK indices. Its early years’ success sparked the foundation of further FTSE indices, such as the FTSE 250 and FTSE 350. In total, the FTSE 100 index accounts for 81% of full market capitalisation. Beginning with an initial 1,000 points, a number representing the combined value of its constituents’ market capitalisation. Overall, its value has progressively grown over time, rising over 9% since 1999. This growth has been marked by significant periods of highs and lows. During the DomCom boom the FTSE 100 reached a peak of 6,930.2 (30 December 1999), however the economic crisis of the 2000s meant this high remained unsurpassed until March 2015. 15 years later it broke the 7,000 mark, indicating the economic recovery and growth of its top performers. The end of December 2017 brought a new level for the Footsie – hitting 7,603.98 points – despite the ongoing Brexit negotiations set to affect the UK economy. The index’s lowest point, in its history occurred on 5 March 2009 – the peak of the global economic crisis. However, its worst fall, known as Black Monday, occurred on 20 October 1987, when the index fell 12.22% – a total of 250.7 points! The FTSE 100 is comprised of 100 of the UK’s top companies by market capitalisation. The index is analysed and composed by the FTSE Group, a subsidiary of the London Stock Exchange. Constituents of the FTSE 1000 are decided on a quarterly basis – usually March, June, September and December. During this process, the companies’ market capitalisation is determined and it is decided whether or not the companies will be included on the index. Those who don’t make the cut may feature on the FTSE 250 or FTSE 350. Once the list of FTSE companies set for the next quarter, the values of each company are then updated on the index every 15 seconds during trading hours. 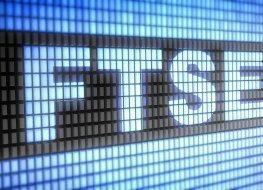 Where is the FTSE 100 traded? The FTSE 100 is traded on the London Stock Exchange under the ticker UK100. Get the latest UK100 chart data and trade on the FTSE 100 share price with Capital.com. Why is FTSE 100 important to traders? Trade FTSE 100 CFDs, other major indices, forex, shares, cryptocurrencies and commodities through Capital.com’s award-winning platform. No commission. FCA and CySEC regulated. Up to 1:200 leverage (professionals only). Available on web and mobile. AI technology. Trade now.